Do you have a Parents Magazine? 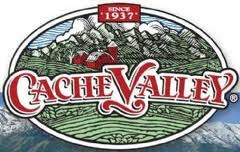 If so there is a coupon on page 90ish for FREE Cache Valley cheese or butter!! It's in the October Issue. Thanks Carrie! Tiffany at Stealin' Groceries also got it and used it at Fresh Market. Check out her awesome shopping trip here. Fresh Market has a Grand Opening Sale going on. You can see a grocery/coupon match up here.